“The first is a Roman numeral,” Anderson said. “Our normal numbers are Arabic,” replied Langdon. The day after Thanksgiving, the internet was all a buzz with news of the comet’s survival, as it passed around the sun on Thanksgiving Day. This is good news for comet watchers and stargazers everywhere and as a result I could not let the day pass without throwing in my two cents worth. Even though ISON’s resurrection may only be a temporary reprieve from death in outer space, the situation has definitely given us comet watchers something to talk about. 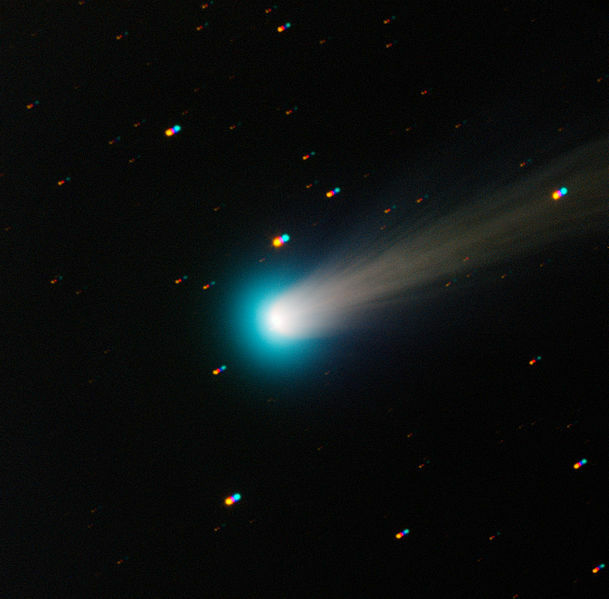 On Turkey Day, the official skywatchers were calling Comet ISON D.O.A. Then one day later, they were using the cat analogy to salvage their scientific opinion. Most likely this descrepency was not so much due to incompetence, but rather, it may be related to the much improved view that spacecraft such as the Hubble and SOHO can now provide. Never before has modern man received such a superb picture of a comet as it sped across the other side the sun. Nonetheless, it is a very humorous situation to hear the experts backpeddle and use the cat analogy as a defense, even though the premise that comets like cats are unpredictable….has been circulating around the blogosphere for several weeks…..ever since ISON underwent a sudden brightening in mid-November. Also, a corollary has developed; comets like cats, can have nine lies. Now than a new week and a new month has started, it looks like ISON was a doomed comet….that like Icarus….it flew too close to the sun and died. Still, there is a trail of dust (that used to be ISON) moving away from the sun, but it is way too small to be observed by the human eye or even small telescopic devices. Chances that this mass will revive itself into a visible comet are close to zero. Nonetheless, it’s been a fun ride with the general public now being more aware of those faraway visitors from the outer reaches of our solar system. And scientists have gained a little better understanding as to what happens when a comet swings around the sun. I hope you like the above infrared image of the Andromeda Galaxy. The picture was made from the Herschel, the European Space Agency’s equivalent of our own Hubble satellite. The Herschel was put into orbit in 2009 and features very sophisticated infrared technology. Recently, a great astronomical event that occurred almost a hundred years ago to the day that the Russian meteors struck, has been making the rounds of the scientific press. Spurred on by a painting made by an amateur astronomer and art teacher in Toronto, named Gustav Hahn, the Royal Astronomical Society of Canada has recently published an article about the spectacular meteor shower that lit up the skies from western Canada to Bermuda and even Brazil. This spectacular display of fireballs took place over a 24 hour period with the most numerous sightings occurring in eastern Canada. On February 9th 2013, NASA prophetically described the 100-year old event in this way: “Although nothing quite like the Great Meteor Procession of 1913 has been reported since, numerous bright fireballs — themselves pretty spectacular — have since been recorded, some even on video”. The above image is a digital scan of the original picture, which was a halftone, hand-painted image that is now part of the University of Toronto archives. Strangely enough, the NASA story appeared on its Astronomy Picture of the Day site just six days before the meteor exploded above the Ural Mountains of Russia, causing a spectacular view that was widely recorded on video and rapidly disseminated around the world. All of this just goes to prove that sometimes truth can be stranger than fiction. Copernicus was a Polish astronomer, who revolutionized the study of astronomy, when he theorized that the sun, and not the earth, was the center of our solar system. If Nicolaus were alive today he would be 540 years old. Copernicus’ observations were quite astounding for his day and age, even though they were not published until just a few months before he died in 1543. Copernicus first devised his revolutionary ideas in the 30 to 40 years before he died. Today, it is widely believed that the Polish scientist delayed publishing his heliocentric theory for so long to avoid undergoing the harsh criticism and ridicule that his ideas might precipitate. Strangely enough, his belief in a sun-centered solar system met with little opposition in the first few years following his death. This situation soon changed and so for at least a hundred years, Copernicus was made the scapegoat of scientific theory, especially by the church in Rome. However, it was Galileo that took the brunt of the criticism some 90 years later, when he supported Copernicus’ theory. For this, Galileo had to face charges of heresy and eventually recanted on the idea that the earth orbited around the sun. Finally, in 1835, some 300 years after Copernicus first considered the possibility that the earth revolved around the sun, did the Roman church finally drop their censoring of Copernicus and his revolutionary ideas. Thanks to the popularity of dashboard cams the internet is abuzz with images and video footage of the meteor(s) that exploded high in the atmosphere near the city of Chelyabinsk, which is located in the Ural Mountains of Russia. According to news reports about a 1,000 people were treated for injuries, mostly from flying glass. Fortunately, no one was killed and none of the injuries were life-threatening. The meteor strike occurred just hours before asteroid da14 passed close to the earth’s surface. NASA asteroid expert Don Yeomans, head of the agency’s Near-Earth Object Program Office, was quoted as saying that the event in Russia was not linked to the close flyby of the large asteroid that occurred later on in the same day. Yeoman’s scientific opinion was confirmed by many other scientists including Richard Binzel of MIT, Paul Chodas of NASA’s Jet Propulsion Laboratory in Pasadena, Calif, Bill Cooke of NASA’s Marshall Space Flight Center in Huntsville, Ala. as well as experts at the European Space Agency. Not everybody agreed with the scientific experts, including one Russian official named Vladimir Zhirinovsky, who said the explosion was the United States testing out a new nuclear device. Although the explosion had the force much greater than the atomic bomb that was dropped on Hiroshima, it lacked the severe damage because the meteor blew up many miles above the surface of the earth. Not everybody believed that the meteor (or meteors) that exploded in Russia were unrelated to the asteroid flyby. For there appeared to be a small cadre of scientists that believed the meteors exploding above Russia were in some way related to the large asteroid that passed by the earth much later in the same day. On CBS, Michio Kaku, a physics professor at the City University of New York, stated that asteroids often occur in swarms or “showers” and so the meteors that passed over Russia may have some connection to the larger asteroid. I think that this difference in viewpoints among scientists is fascinating and that ultimately the minority view that the two events are related will prevail. History is just full of too many instances where the majority scientific opinion has been proven more, for me to think otherwise. No matter how this story turns stay in touch for the debate could be very interesting and entertaining. This asteroid will pass about 17,000 miles from the surface of the earth. At it nearest point it will be closer than the moon and will travel inside the orbit of some satellites. When it does so the space rock will be nearest the South Pacific nation of Sumatra. This asteroid is estimated to be about 150 feet in diameter, which is approximately the same size as the one that hit the Siberian region of Russia in 1908. No ill effects are expected from tomorrow’s flyby. This very same asteroid has an elliptical orbit around the sun and so it will pass by the earth again in another seven years, but it is not expected to hit the earth at this time, either. If an asteroid of this size were to strike the earth, it is estimated that the damage would be similar to the Tunguska Event of 1908 that has already been mentioned above. Thanks to the internet and modern astronomical observing technology this close passby can be viewed via several different webcasts. These include our very own NASA, along with the Slooh Space Camera, Virtual Telescope Project (Italy) and Bareket Observatory (Israel). 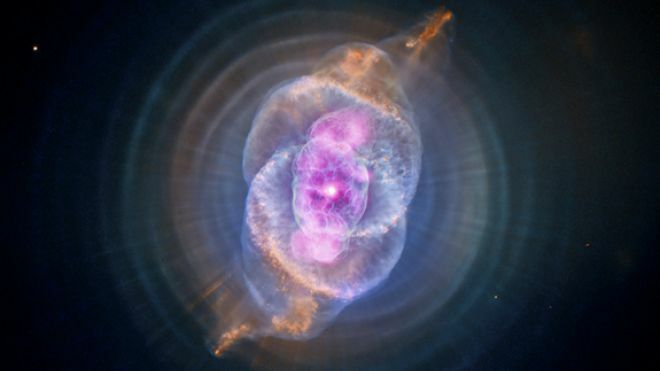 The NASA link gives amateur astronomers a chance to track the fast-moving object with a good pair of binoculars or a small telescope. The asteroid will first appear in the southern hemisphere near the Southern Cross and this point it will shine at its brightest. Eventually, the space object will be visible in the Northern Hemisphere between the Big and Little Dippers, but by this time the high speed traveler will be much dimmer. Last week a rare daytime meteor was observed flashing across the Texas sky. To observers on the ground, the celestial object appeared brighter than even the sun. According to NASA, spring fireballs come from asteroids and have a tendency to peak during the months of February and late March/ early April. The article went on to say that fall meteors originate from comets. Much of this information comes from observation and specially located cameras set up by NASA’s Meteoroid Environment Office. Still, much has to be learned about this natural phenomenon. This winter while walking home at 8 p.m. in northern New Mexico, where I currently reside, I was fortunate to witness a meteor that dropped straight down out of the sky. As it neared the earth’s surface, the glowing object exploded into a large green-colored fireball and then abruptly disintegrated before hitting solid land. My first impression was that I had just witnessed a shooting star, which almost landed. However, a little research indicated some other cause and effect may be at work here. Other sightings by New Mexico residents, along with international data indicate that this particular event has a higher than average frequency in New Mexico. Nonetheless, I was delighted to be a witness to this unique astronomical event. Even stranger was the local radio D.J., who recounted on the air a similar observation made at a different time. Nonetheless, the strange downward path of this lighted object raises some questions about the true nature of the nocturnal sighting. Could there be something else at work in this case. A timely article about some similar night time lights in Australia suggest that these green fireballs that drop straight down may be linked to ball lightning. Anyway, it is fun to sit around to sit around on dark winter nights and discuss the meaning of unusual astronomical sightings.